Now on its 4th year, SINAG: Financial Literacy Journalism Awards 2017 continues to be a nationwide competition, open to print journalists and digital influencers from Luzon, Visayas, and Mindanao. 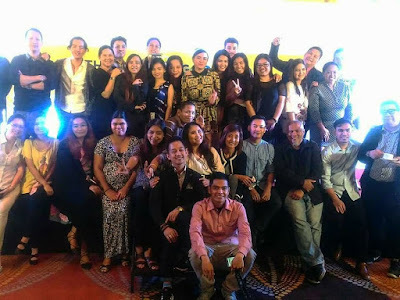 Various stories that tackle subjects related to financial literacy, such as entrepreneurship, long-term financial planning, studies about the Filipinos’ financial habits, and updates about the market were all welcomed. These simply need to be educational, inspiring, and useful in helping Filipinos appreciate the topic of finances, the importance of money management, and the benefits of financial security. Student category winners: Joevane Bitad of STI College – Alabang; Franchesca Pauline Cantos of Miriam College; Miraclene Moltio of University of Baguio and Bea Nicole Amarille of University of Sto. Tomas. 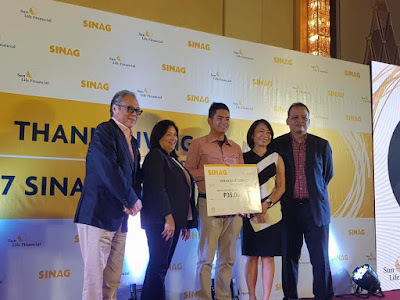 Launched last 2014, Sinag is an annual competition participated by print and digital journalists whose best works are recognized for helping educate the public to be financially responsible and educating them on the right habit and tools to be successful on their financial journey.